Coordinates:42°S 39°E – FeluccaAs you can see by the picture, not much has changed since the tavern was last reviewed two years ago, including the absence of patrons. It is unfortunate to see such a lovely establishment going unused. Perhaps location is the culprit here. 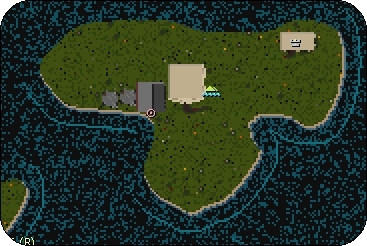 As mentioned in the previous review, the tavern is located on an island, just north of the swamps above Trinsic. The facilities are perfect for meetings or wedding receptions. 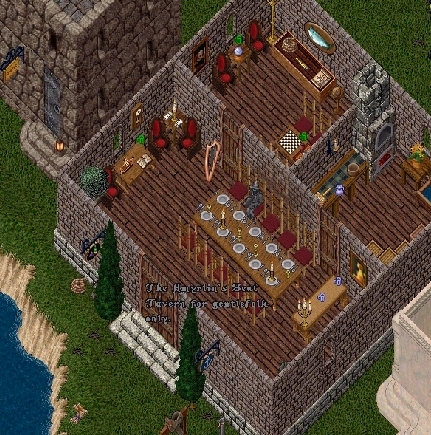 Quest writers may find it useful as a backdrop to some of their storylines and the lack of spawn on the island makes it newbie friendly for recently generated characters.